Meet My Friends: Coral - Super Inky! Hello, hello! 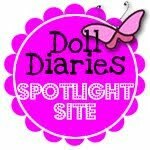 It's time for another edition in my Meet My Friends series for my blog. I've been slowly making a special page of all my friends. You can get to it at this link, or by clicking on the "My Friends" link below my header image. Most of you know my friend Coral. 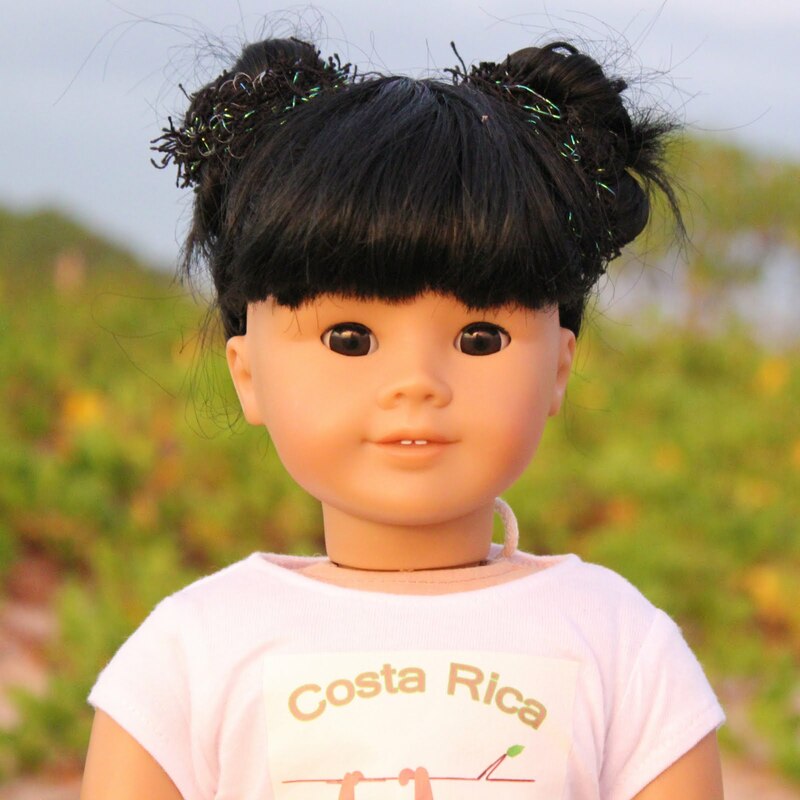 Her full name is Coral Jade Takiwira. She's from Wellington, New Zealand! Coral lives in Brooklyn now with her dad and her au pair (a kind of nanny). Coral's dad works for the United Nations in Manhattan! Coral is half Māori. The Māori are the indigenous Polynesian people of New Zealand! Coral loves to dance! 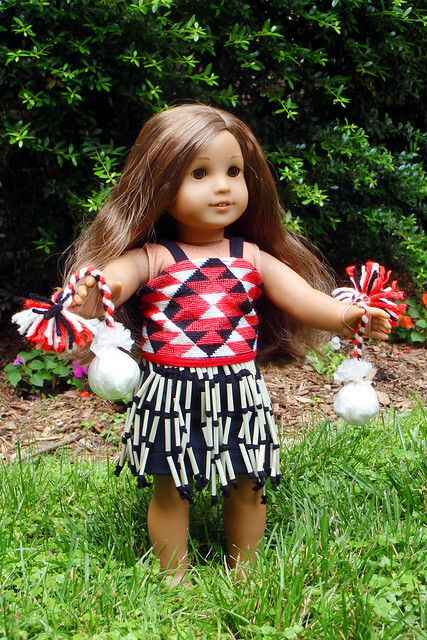 This picture shows her in her traditional Māori dance outfit. I initially met Coral through a mutual friend, Maiki. Coral doesn't just do traditional Māori dance though! Coral is an accomplished ballet student! She practices every single day- even when she's on vacation! 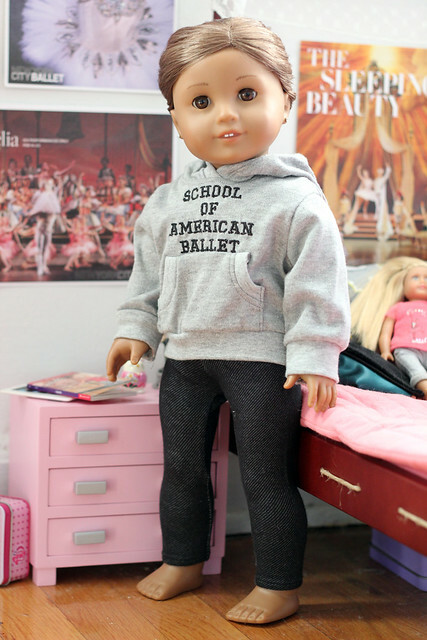 Coral studies ballet at a famous school in Lincoln Center- do you like her school sweatshirt? 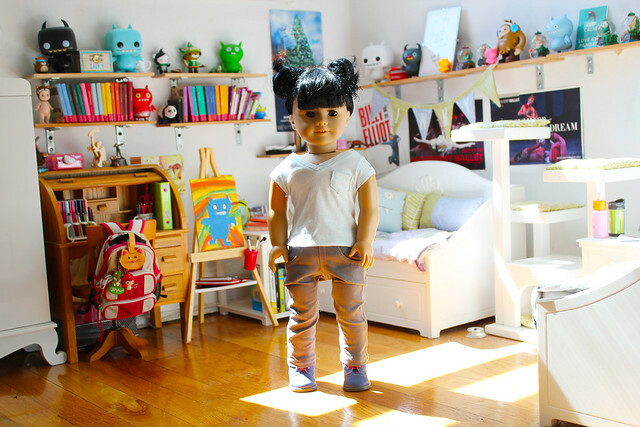 Her bedroom has its own ballet barre and the walls are covered in posters from her favorite ballet company, the New York City Ballet. One of Coral's first performances in New York was as a Golden Hour in the ballet Coppélia! Isn't her costume beautiful? The Golden Hours appear at the end of the ballet. They dance to celebrate the new bell tower! Even though Coral's costume for Coppélia is very detailed, her favorite ballet is A Midsummer Night's Dream! This is Coral in her costume. She played a fairy, one of the many bugs and fairies who accompany the fairy king, Oberon! 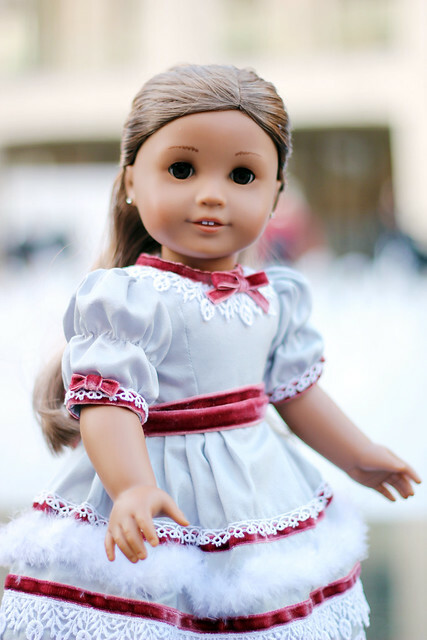 Coral's biggest role so far was Marie, the main character of The Nutcracker! She danced every other night for over a month. Wow! When Coral's not dancing, she loves to relax and read. 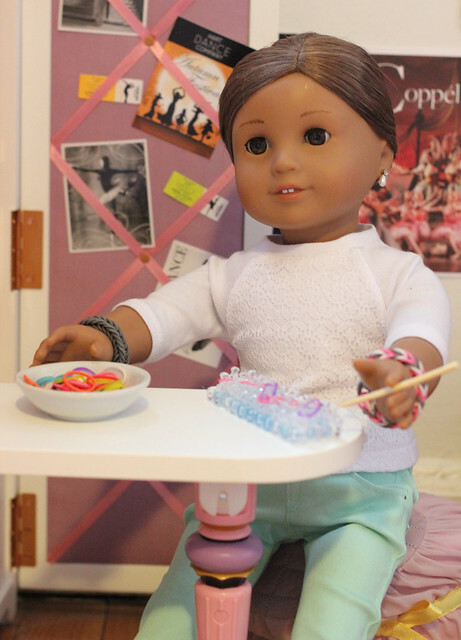 She's also pretty good at making bracelets on her rainbow loom, as you can see in this photo! I love how friends can be so different but still get along like two peas in a pod! I love camping, hiking, and playing outside. 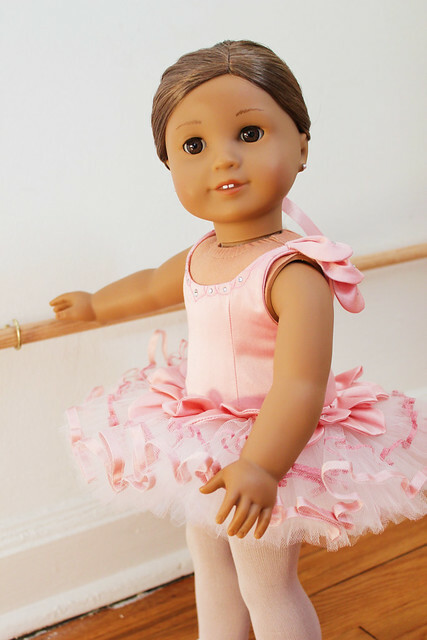 Coral loves dressing up in beautiful costumes to dance. She also likes wearing dresses and soft colors when she's not dancing. 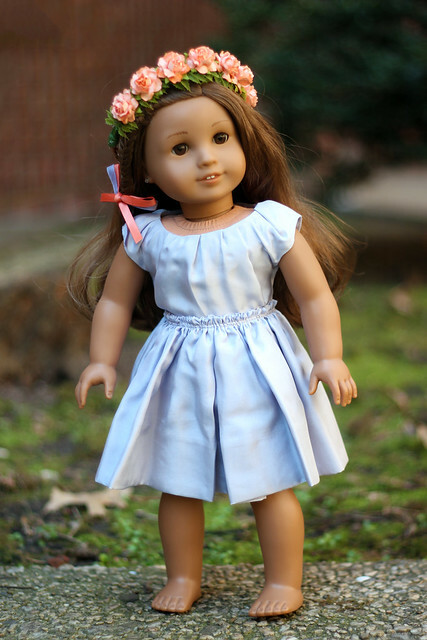 Do you like her dress and floral crown in this photo? Coral is a great friend. I'm so glad she moved to New York City from New Zealand! Do you have any friends who have moved to your town from far away? Tell me about them! Wow, Coral's dance costumes are SO pretty, Inky! Thank you for sharing them! All of us girls in the AGGiK are from far away and landed here in Tennessee. Gracie's probably from the closest, she's from North Carolina, so just across the state line a bit and about four hours away. I moved here from South Dakota, and Mari came all the way from Seattle, and Quinn's from Canada! It's really fun to talk to people about where they're from, isn't it? i really liked Coral, her clothes, and her life story. I also has an 18'' girl from NZ. her name is Robyn Ivian Gallagher. She is half Finnish, Half Brazilian. She is a European New Zealander from Auckland. Speeding by on my scooter!